Anyone who has ever had to volunteer to give up their seat due to overbooking or had to stand in endless airport queues while digging through their documents for proving their identity, knows the pains and inconveniences of the travel industry. Blockchain-based platforms are becoming increasingly popular due to the numerous advantages they offer. Security and stability are the foremost reasons for elevating Locktrip to the height of popularity and demand that it is enjoying now. Its decentralized natures ensure that customer information never goes offline and can never be lost by a malicious hack or an accidental deletion. This enables the platform to make each transaction traceable. The travel industry works diligently through sharing information, which makes tracking possible. LockTrip accesses and stores information in an easier and more reliable way. Another important aspect of the travel industry is the management of secure payments. Blockchain platforms ensure simplified, secure financial transactions, which especially helps with overseas payments, thus maintaining trust among all parties involved. Other 4 potentially revolutionary changes that LockTrip has made possible are explained below. LockTrip uses the valuable blockchain technology for tracking the movement of luggage at all times. This is crucial during international travel when it changes hands many times over the entire course of the journey. A decentralized database makes it easier for companies to share tracking information. Identification services for customers are extremely important to anyone in the travel industry. Blockchain has the potential to become a standard for storing valuable identification information. This technology has the potential to dramatically reduce airport queues and check-in times when a simple retina scan or a fingerprint scan can replace going through the customer’s identification documents. Another way blockchain has made travel secure, within the hotel and travel industry is concerning payments. Its diverse applications include simplified bank payments and performing as an all-encompassing global ledger. It also allows travel partners to accept cryptocurrencies as payments. Customer loyalty programs or schemes are not new in the travel industry and most companies offer a myriad of them to their potential customers in the hopes of gaining a market advantage over their competitors. Blockchain can be a great help in assisting the travel partners to manage these programs and to simplify the process in a way that allows customers to gain relevant information regarding their loyalty points and tokens. This can be immensely great for companies looking to avoid identity or financial fraud. 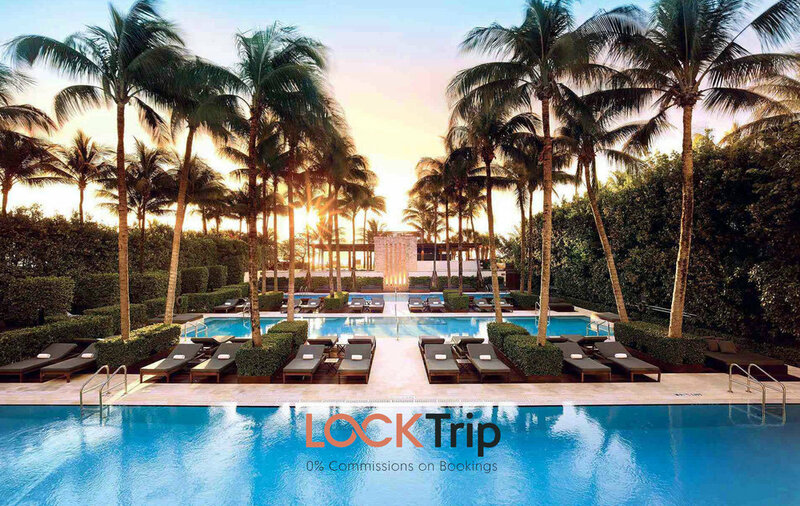 LockTrip is a direct marketplace that assists hospitality companies and hotels that need to rent out their property. It not only encompasses payment and property management but other significant aspects of the travel and booking process. Its growing influence can be attributed to its simplified decentralization of data which eliminates the need for middlemen and commission fees. Visit Locktrip today on our social media and online platforms and become a part of a thriving and active social community. Follow us on Facebook, Twitter and Reddit for interesting updates.